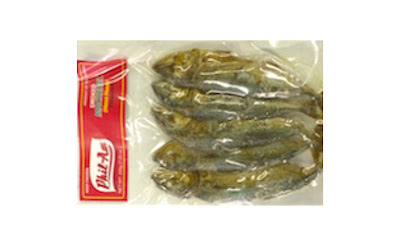 Officials in New York are warning the public to steer clear of Phil Am brand’s smoked mackerel. Called Hasa Hasa in Tagalog, the fish is a product of the Philippines. This particular batch was not eviscerated, and may contain spores causing botulism poisoning. A consumer alert from the New York’s Agriculture and Markets Commissioner Richard Ball outlines all the identifying details of the product, including UPC number (814487015147). Packaged in a clear, vacuum package flexible plastic pouch, the mackerel can be found in the refrigerated section at Asian Supermarket Group Inc., a convenience store in Albany, NY. Since the time of posting, 1 December, no illness connected to the product has surfaced. Processed fish that have undergone evisceration are more likely to harbour harmful spores and should be avoided. Symptoms of botulism poisoning are blurred or double vision, general weakness, poor reflexes, difficulty swallowing and respiratory paralysis.